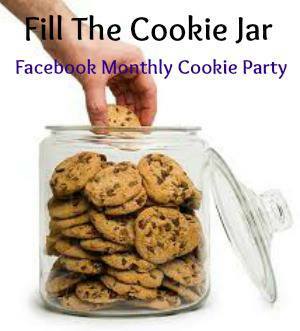 I am very excited to be part of a new food bloggers Facebook group called Fill the Cookie Jar. This group is for all who love to bake (and eat) cookies, so it's right up my alley! Each month we will have a different theme to follow and all members of the group will share our recipes on our own blog. We will also have a linky at the bottom of our posts so our readers can view all of the wonderful cookies that everyone in the group is making! Our theme for August is back to school and we are sharing our kids favorite cookies. These mocha cappuccino chip cookies are actually a new recipe that I recently developed, and one that my kids absolutely love. They are thin and crispy on the outside but soft and chewy on the inside. Absolutely delicious! In a small bowl whisk together the flour, baking soda and baking powder and set aside. In the bowl of your stand mixer beat the butter, mocha spread and brown sugar until smooth and creamy. Add the egg and vanilla and mix until combined. Add the dry ingredients to the wet ingredients a little bit at a time, mixing until well incorporated. Fold the cappuccino chips in with a rubber spatula. Using a medium scoop, drop balls of dough onto a baking sheet lined with a Silpat or parchment paper. Bake for 8 minutes, until edges are set and bottoms are lightly browned. Cool the cookies on the baking sheet for about 5 minutes before transferring them to a cooling rack.